66in Extreme Grapple Rake is excellent for severe duty brush and debris removal, demolition, material cleanup and more. 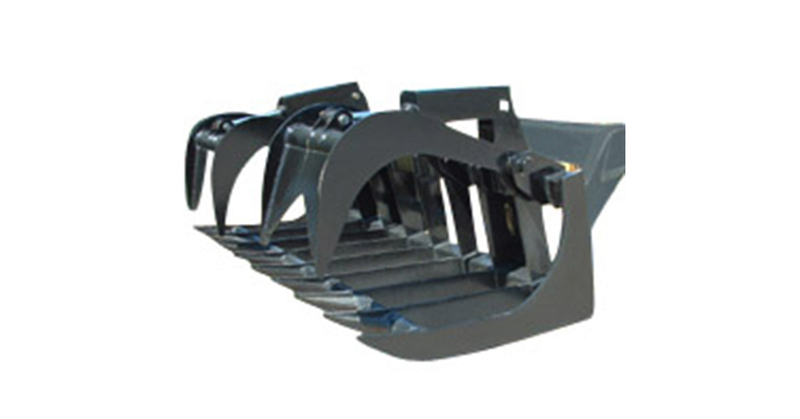 AIM Grapple Rakes with the dual clamp design allows for the handling of uneven loads. Guards protect the cylinders from damage. High quality 66in Extreme Grapple Rake at factory direct pricing. Learn more about how our skid steer attachments help tackle any task.